By adding a Parking/Transit Plan to your benefit package, your employees will receive an additional pre-tax benefit allowing for an increase in their take home pay. The Plan allows the employees to deduct pre-taxed their work related parking and mass transportation costs, which decrease the gross income, in turn this decreases the amount paid in taxes. This Plan reduces federal, state and FICA taxes. Participants can save approximately $0.25 on every dollar deducted pre-tax through the Plan (15% federal + 2% state + 7.65% FICA). For those in a higher federal tax bracket, the savings increase. All eligible employees can participate. The employer does have the right to limit participation to certain categories of employees if necessary. There are individuals who may not participate in the Plan: self-employed individuals, partners in a partnership, 2% or more shareholder in a Sub-Chapter S corporation, outside directors, limited partners and limited liability company members. Employees submit a claim form to RPG with receipts from the parking facility or transit provider. The receipts must be included in order to process the claim. The amount submitted cannot exceed the monthly indexed amounts allowed. For example, an employee signs up for $190.00 per month for parking. If the employee incurs $200.00 in parking expenses for one month, the amount reimbursable is $190.00 (maximum amount per month). RPG will cut a check to the employee for the amount eligible for reimbursement based on the receipts submitted and the deduction amount from their paycheck. Employees can make changes at any time, although the Employer has the right to limit the number of changes to reduce administration. To make a change, a new election form would need to be completed by the employee and submitted to the payroll department. Upon termination the employee will be given 90 days to file claims on the unused balance in their account. Any unused funds after the grace period has past will be returned to the Employer. These funds are non-refundable to the participant and should be used to offset the cost of the Plan. Plan setup is fast and so easy. Contact RPG to start your plan today. 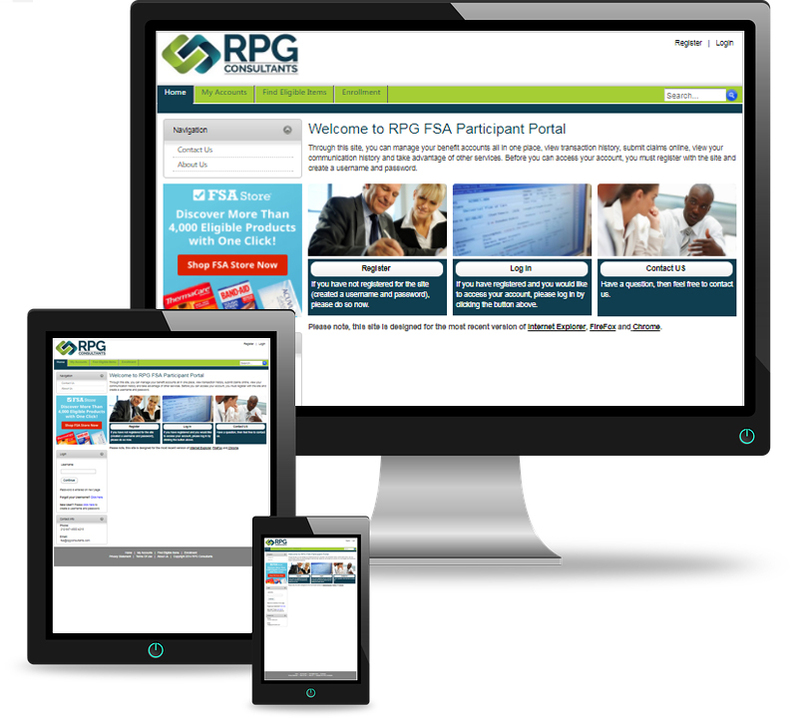 RPG provides a summary of the plan for easy communication, along with electronic enrollment and claim forms. The forms are given to the employees, elections are made and returned to human resources, payroll sets up two new deduction codes and the funds are submitted to RPG. Claims may be filed after the first payroll deduction has occurred. The Employer is responsible for reporting new elections, change in elections and termination dates to RPG for accurate administration. The payroll deduction reports are to be submitted for one pay period each month with the amount deducted funded to an RPG Escrow account. As long as the participant is an active employee, any unused funds will continue to roll over month-to-month, year-to-year. Claims may be incurred regardless of whether the participant’s deductions are active or stopped, providing the employee status remains active. Reimbursements cannot exceed the monthly maximums. Any unused funds will be submitted to the employer at calendar year end with a summary of the participant forfeitures. Unlike TransitCheck programs, the sponsor does not need to lay out money prior to payroll deduction. There is no worry that an Employee will claim he never received his TransitCheck or that the batch will be misplaced or stolen. Unlike TransitCheck, all administration is outsourced and you do not need to use up staff resources for this Plan. Unlike the FSA, money is rolled over from month to month and year to year so there is no Use-It-Or-Lose-It risk. Participants can also enter and leave the Plan any month. Parking at a garage close to the office can be reimbursed. TransitCheck charges 4% or more for their services. Depending on the payroll numbers, administration fees can be competitive to that. Participants can accumulate their own credit card miles by paying for their transit expenses and then getting reimbursed with pre-tax money.